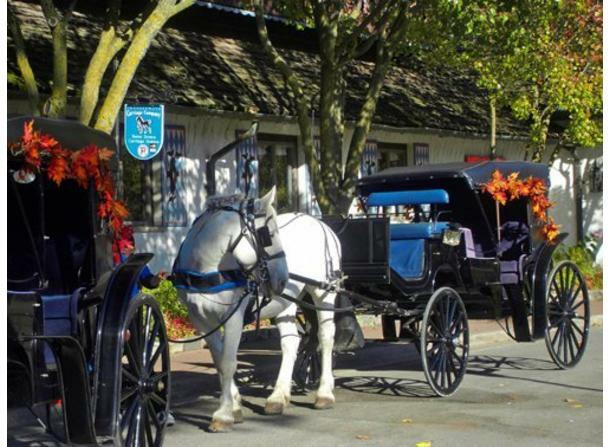 Take a 20 or 30 minute horse-drawn carriage ride through charming downtown Frankenmuth, highlights include the covered bridge, River Place and our spectacular Main Street. We are stationed on the south side of the Bavarian Inn Restaurant under the Glockenspiel clock tower. 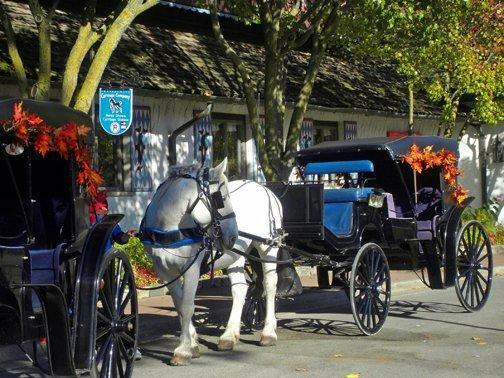 Pricing is per carriage not per person and our maximum capacity is six people per carriage. This is a walk up service, we do not accept reservations. Pricing, times and routing of rides are subject to change, due to construction, road conditions and festivals.